There has been a lot of back and forth around the use of Free Software in public administration. One of the latest initiatives in this area was started by the Free Software Foundation Europe, FSFE. It focuses on the slogan: Public Money – Public Code. There are various usage scenarios for Free Software in public administration. The span ranges from the use of backend technology over user-facing software, e.g. LibreOffice, up to providing a whole free desktop for the administrative staff in a public service entity such as a city council. In this article we will focus on the latter. When the desktops in an administration are migrated to Linux, the administration becomes a distribution provider. 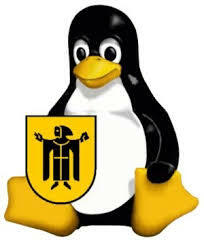 An example for this is the LiMux desktop, that powers the administration of the city of Munich since 2012. LiMux is a distribution, maintained by the central IT department of the City of Munich. Technically, it builds upon Kubuntu. It provides specific patches, a modified user experience and an automatic distribution system, so all desktops in all departments of the city can be easily administered and offer a consistent user experience. Distributions in the Free Software ecosystem have different roles, one of them surely being the provider of the finishing touches, especially to important software for its own users. Obviously public administration has special demands. Workflows and documents for example have a totally different importance than for the average Kubuntu user. In Munich for example, architects in one department complained that Okular, the LiMux and KDE pdf reader, would freeze when they tried to open large construction plans. When the city investigated this issue further, they found out that actually Okular wouldn’t freeze, but loading these large maps would simply occupy Okular for quite a while, making the user think it crashed. Naturally the City of Munich wanted this issue fixed. But this use case is rather rare for the voluntary Free Software Developer, as only few user groups, like architects, are actually in the situation of having to deal with such large files, so it was unlikely that this bug would be fixed on a voluntary basis. Since the city does not have enough developer power to fix all such issues themselves, they looked to KDAB for external support. With our KDE and Qt expertise, we were well-positioned to help. Together we identified that, instead of the suggested busy indicator for Okular the City of Munich wanted, progressive loading would be an even better solution. It allows the user to visually follow the loading process and makes it possible for the user to interact with large files as early as possible. And as the City does not want to maintain a patch that fixes this issue for them locally, we also helped them to get all the patches upstream. This way all efforts are made available for the architects at the City of Munich and also for the general public. In the same spirit we have fixed numerous issues for the City of Munich all around KDE and Qt. As another example: we brought back extended settings to the Qt print dialogue. This allows the City of Munich to make use of all of the functionalities of their high-tech printer, like sorting, stapling and so on. You can read more about KDAB’s work on this here. Becoming a distribution implies a lot of responsibility for a public administration and KDAB is proud to offer reliable backup for any administration that decides to follow the Linux, Qt and KDE path. Afternote: Recent developments mean that the City has decided to revert the migration back to Microsoft by 2020. The good news is that most changes and adjustments they have made are available upstream and other administrations can build their own solutions upon them. It’s really a shame that they decided to move back to Microsoft because of politics, however it’s good to see Microsoft reveal their real face in a time where they pretend to have changed. Munich is by no means the largest win for FOSS, and a stream of interest is continuesly growing specially in Europe. Thanks for all you do, you are the heroes of tomorrow! It really is a shame, but i don’t think only politics is to be blamed. Fragmentation, unpolished things that ‘work for me’ and missing some enterprise stuff (some people/admins complained with something about user profiles) are also to blame. Fact is – linux is not yet ready to replace windows. Unfortunately, this is how it is… It’s getting there, but slowly (and the pace is increasing). It is a death of 1000 papercuts. I’ve been linux user for years: started with servers, but now also for desktop. I bought a laptop recently with windows. Have tried to put linux on in and first thing you notice is that touchpad works like crap. No rdp by default (there is vnc which is a horrible replacement). Everybody seems to force localization, but not for instance dropdown menus for formulas in libreoffice. Amazing. So, to close, not only politics is to blame. There is also a question of quality, which politics probably used in their favor. Thanks for your work, I hope Munich IT will deploy Kubuntu LTS 18.04 before they switch back to Windows. As far as I know, this is the plan. I am pretty sure there was a wrong choice of the distribution made at the very beginning. Kubuntu is not Windows replacement and, if you want to minimize stress of migration to the end user – there are more windows “friendly” distributions, Xubuntu at first place. I am one of the Community Managers for Kubuntu, and I would just like to say that Kubuntu is actively seeking input from it’s user base to provide enterprise grade features for users. It is not reasonable to say that Kubuntu is not ready for the mainstream enterprise desktop. Bugs and feature requests are often not reaching us, and so they do not get worked on and fixed. Have you tried the latest release of Plasma5 and have you experimented with Activities, and Widgets ? It’s a really amazing workflow and perfect for enterprise users. I encourage you to review Kubuntu 18.04 LTS and where you do find some issues, or you require features then please raise them with us, so that we can provide patches and updates. basic one, okular can’t sign any pdf files ! A robust, functional and as-bugfree-as-possible PDF reader is really a must and there is currently not one product available on Linux which covers all. The commercial products MasterPDF Editor and PDFStudio are the best ones, albeit they printing dialog offers not the CUPS/PPD options. Adobe Reader 9 offered it, but it’s legacy. Evince is meanwhile the only PDF program which offers you an decent print dialog (the GTK one), but has some problems with printing comments and lacks of some advanced features (only a few annotations are supported, not signing possibility). Maybe some Qt-based programs incorporate the brandnew Qt 5.11 printing dialog.